Modern mechatronic systems consist of numerous precision components that must be assembled in complex configurations. Here, every detail counts.Steinmeyer Mechatronik, a division of August Steinmeyer GmbH, offers design and assembly services for a variety of demanding applications.We have deep experience in medical devices, laboratory instrumentation, optical inspection & semiconductor positioning. 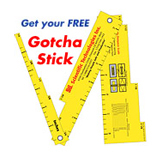 Our engineers can implement your finished design or optimize your concept. The mask system provides the fine adjustment and exact alignment of exposure masks in semiconductor lithography. The XY theta adjustment has three linear axes (two vertical and one horizontal) and has a parallel kinematic structure. The two vertical axes generate vertical stroke (same movement) as well as rotation (opposite movement). Parallel alignment of the three drives enables movement in three degrees of freedom; mechanical redundancy in determination is thus ruled out. The mask system was specially developed for use under ultraviolet radiation and in an ultra-dry nitrogen atmosphere. These specific environmental conditions require special materials and lubricants. Thus, to minimize stray radiation, all structural parts are coated with a Bilathal coating that absorbs ultraviolet radiation. It also uses a highly specialized lubricant based on perfluoropolyether. PFPE oil exhibits excellent chemical stability and extremely low outgassing even under ultraviolet radiation. It is also thermally stable, non-flammable and insoluble in water, acids, bases and most organic solvents. Steinmeyer has decades of experience in precision assembly. All of our systems, whether single or multi-axis, are manufactured carefully. Our high standards, monitored continuously through vigorous quality systems, are evident in every assembly we produce. We pay attention to every detail. We can assemble custom linear mechanisms of all sizes – from miniature actuators using 3 mm linear rails, to 3 m long lifting mechanisms. As an added value, our engineers will offer innovative ideas for optimizing your design. We can quote a completely assembled module, including sourcing of key components! We offer our customers the advantage of a close working relationship, enabling us to provide you with the best possible solution to meet your needs. In the realm of linear motion control, Steinmeyer is synonymous with precision, innovation, and exacting standards of quality. We are the world’s longest continuously-operating manufacturer of commercial ball screws, our main product line. As an added value, we offer customized linear modules from our highly innovative and experienced Mechatronik division. Designed and manufactured in Germany, our products are used globally in precision positioning for medical devices, lab instruments, and other mechatronic applications. Steinmeyer engineers will work closely with you to customize our offering to deliver a solution that meets your technical requirements and budget. Forestville, CA, — The AC201 2 axis high performance angular displacement Digital Autocollimator System from Equipment Solutions, Inc. is a very compact high precision instrument designed to measure very small angular displacements with high sensitivity over distances to 2.0 in. (5.06 cm). The AC201 Digital Autocollimator is therefore ideal for instrumentation, tooling, and OEM manufacturers with requirements for high precision alignment, flatness, squareness of surfaces in relation to each other, detection of angular movement, shaft straightness, motion control, and other orientation measurements. This rugged and compact 1.0 in. x 1.1 in. x 1.3 in. (2.5 cm x 2.8 cm x 3.3 cm), low cost digital autocollimator can interface with a PC. The AC201 Digital Autocollimator has an optical angular range of ±344 arc sec (±100 mrad), and a sensitivity of 0.2 arc sec (1.0 µrad). The laser has a beam diameter of < 0.125 in. (<3 mm) and requiring only a slightly larger reflection surface. Electrical requirements are: +5.0 VDC @ 30 mA. The AC201 Digital Autocollimator can be factory configured with one of several different interfaces including Analog, USB, SPI, or quadrature encoder. The black anodized (per MIL-A-8625C) 6061-T6 Aluminum body has 2x 4-40 mounting holes and integral electronics and connections are via a Nano D9 or USB connector. Supplied with a Windows® application software and more than 24 ASCII commands for control and operation, the AC201 Digital Autocollimators are able to perform complex data collection and analysis. They are ideal for: Vibration analysis, mechanical and optical alignments, servo control feedback, tip & tilt measurements, settling time and stage damping analysis, and measurements needed in the manufacturing and testing of miniature mirrors and lenses, linear and rotary stages, fiber optic components, robotic components, and medical analytical devices. Motion Control – New POSITAL Sensors – Precision Feedback for Collaborative Robots Available from Electromate! Vaughan, Ontario, Canada — Motion Control Components — A very exciting development in the area of robotics is the development and growing popularity of so-called collaborative robots, or “cobots”. Cobots, in contrast to traditional industrial robots, are designed to interact with human workers in a shared workspace. They are typically smaller and less powerful than traditional factory robots and are equipped with a variety of proximity sensors, load sensors and other features designed to avoid dangerous collisions between the robots and the people working around them. This focus on safety means that cobots are easier to deploy in a normal factory setting, since they don’t required special fenced off operating areas. Cobots have been used to perform repetitive tasks in light assembly, packaging, materials handling and medical laboratories. Cobots have also been used to help workers avoid direct contact with environments not conducive to direct human interaction, such as high temperature environments, chemically aggressive reagents and toxic pathogens. Many cobots are designed to mimic a human arm, with flexible “shoulder”, “elbow” and “wrist” joints. 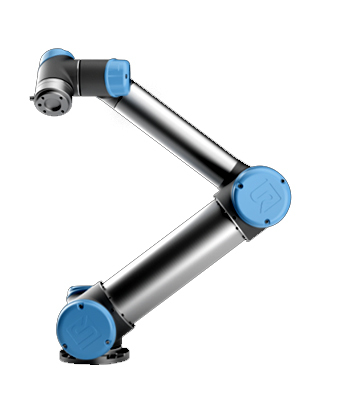 Accurate measurement of the rotary position of these joints is central to enabling the cobots’ control system to keep track of the spatial orientation of all of its moving parts. This is typically provided through rotary encoders mounted in each of the device’s joints. Encoders measure rotation and return a digital signal that reports the angle of rotation (absolute encoders) or rate of motion (incremental encoders) to the control system. The ‘right’ encoders for cobots need to be accurate, reliable, and compact, with excellent dynamic response characteristics. They also need to be reasonably priced. POSITAL-FRABA has responded to this challenge by developing new sensing technologies – such as magnetic and capacitive rotary encoders – that provide cobot manufacturers vital feedback for closed-loop control systems. In order to ensure that these devices meet the needs of cobot builders, POSITAL-FRABA offers products with a wide range of performance characteristics, communications interfaces and physical configurations. POSITAL‘s kit encoders offer a unique combination of accuracy, reliability and cost efficiency. Absolute measurement versions provide 17 bit electrical resolution and multiturn position measurements with a range of more than one million revolutions. POSITAL’s contact free measurement technology has no moving parts and is highly resistant to shock and vibration. POSITAL’s kit encoders are available with several non-proprietary electrical interfaces including BISS and SSI for absolute measurements. Additional protocols based on the RS485 interface can be implemented. Making your transition from incremental to absolute position sensing easy, POSITAL provides a full line of versions that are mechanical drop in replacement for common US Digital and Broadcom (Avago) incremental kit models. 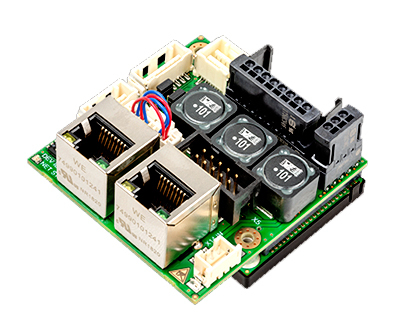 CLICK HERE for additional information about POSITAL Kit Encoder for Servomotors and Robots. Fall River, MA — Motion Control Components – With the EPOS4 series, maxon is offering a reliable and extremely versatile platform of high-performance motion controllers. It addresses the needs of system integrators and fulfills the requirements of a variety of applications, such as industrial automation, apparatus engineering, and robotics. The platform is now being complemented with two new Compact EtherCAT models. 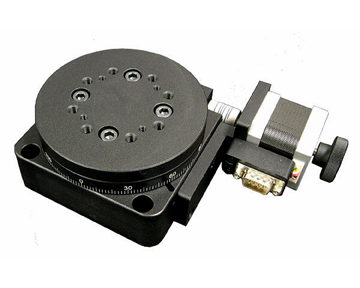 Motion Control – High Precision, Low Profile, Compact 100 mm Motorized Rotary Stage Available from OES! The low cost, low profile AY110-100-SC rotary stage features a parallelism of 80 microns, a backlash of 0.0005o, surface roundness of 15 microns, positional accuracy of 0.001o, and a transmission deviation of 5 microns making it ideal for: Microscopy, laser positioning and machining, inspection, assembly, testing, and other critical applications. This black anodized stage has a load capacity of 99 lbs (45Kg) and there is an indicator scale for visual sighting of the angle of rotation. The stage can be ordered plug-and-play with a fully compatible controller from OES. 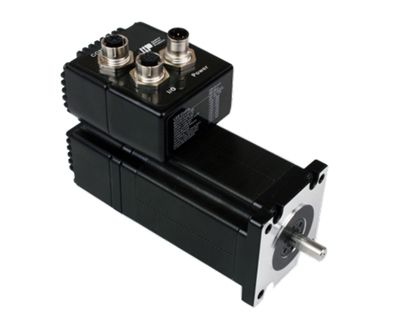 Motion Control – IP65 Integrated Stepper Motors Available from Servo2Go! Greenville, DE —-Motion Control – Applied Motion’s SWM integrated steppers are IP65 rated drive+motor units, fusing step motor and drive components into a single splashproof and dustproof device. This space-saving design eliminates wiring and saves on cost over conventional motor and drive solutions. The motion control SWM24 integrated steppers combine high torque NEMA 24 step motors with a sophisticated, 6.0 A/phase (peak-of-sine) step motor drive. Power to the drive, located at the rear of the motor, must be supplied by an external DC supply. Applied Motion offers compatible 24 and 48 volt DC power supplies for exactly this purpose.